Our goal in this series is it to help you understand how we interpret markets on the Cape and how this informs our recommendations when developing pricing strategies. For our final installment we will evaluate the Cape Cod market for the past 3 years (starting in October 2014). First the inventory of single family homes has been dropping over the past few years. This factor coupled with rising median sales prices and fewer days on market indicate an accelerating market in Barnstable County. Another interesting factor to note is the significant decrease in homes for sale over the past year and that 2017 did not show as stark a seasonal bump in inventory as is typical. Additionally the affordability index is trending towards less affordability on Cape Cod. What's our take? If you are thinking of buying, our advice is not to wait. Interest rates are at historic lows and, if the current market trend continues, homes will continue to become gradually more expensive. The long-term news isn't all bad, though - there are numerous local, state, and federal initiatives in the works which plan to ease the affordability pinch here on the Cape. For more information, check out this local housing forum featuring none other than our own Ned Chatelain. But you don't have to wait for new programs to buy something - give us a call and we can put you in touch with the top-notch mortgage brokers we work with who can walk you through low-downpayment and no-downpayment mortgages, first time home-buyer programs, or local lending incentives that can make the difference between buying this year or buying in three years. On the other hand, If you are thinking of selling, this is good news for you. The Spring is an excellent time to get your house on the market and winter is the best time to get it ready. Give us a call today if you are interested in a home valuation and comparative market analysis. Our goal in this series is it to help you understand how we interpret markets on the Cape and how this informs our recommendations when developing pricing strategies. In this installment we will be evaluating a specific market - single family homes on the water, Barnstable to Orleans (Homes on Water Bodies & Homes on Beaches). Immediately we notice some relevant trends. 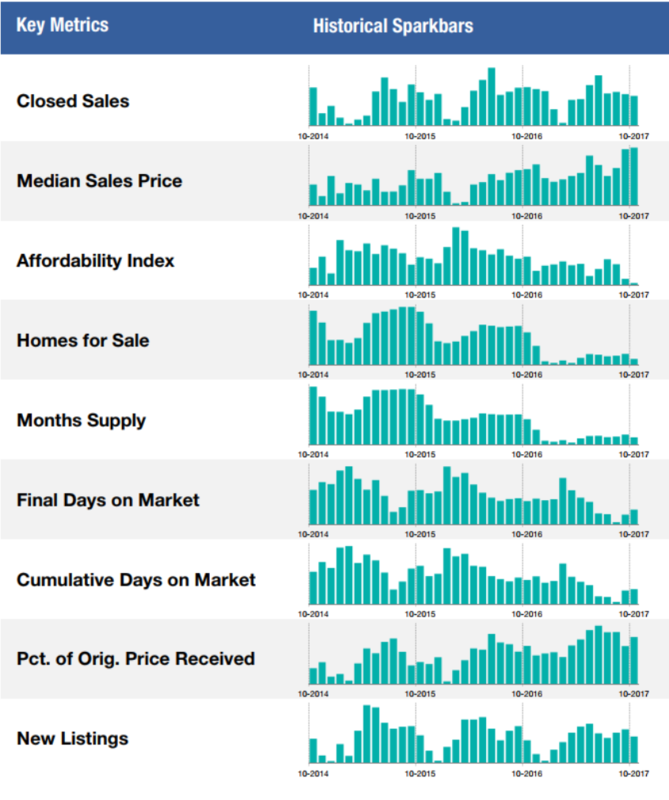 First the median sales price for these homes is much higher than the Barnstable County median at $1,200,000, yet take far longer to sell with a median days on market of 95 (and an average of 231). To be fair these are expensive waterfront homes, occupy a smaller market niche, and ultimately take longer to sell. We also see, based on the bar graph at left, that the group of fastest selling homes (43 days or less) sell for 94% of the asking price - as compared to Brewster in Part 2, those fastest selling homes did so in 25 days or less with 99% of the asking price. Getting back to the waterfront case study, the homes that take longest to sell require price reductions on the order of 12% off the original asking price and only sell for 79% of the original asking price. What we see here is that people tend to price waterfront homes very aggressively (high) and require significant reductions before they sell. Furthermore these homes are sold for far less than the original asking price as well as the current asking price - something to think about if you are in the market for a $1,000,000 home on the water. Consider also that many of these sellers have a price in mind and are willing, can afford, and believe that waiting will get their asking price; however, as is evident in the data, waiting longer does not return a higher sale price. We discovered one more interesting thing here. When analyzing certain markets it is useful to know how square footage affects sale price - and it may not be what you think. In this market (and this is not always the case) the larger the home the fewer dollars per square foot ($/sqft) it returns. Using the trend line on the graph we would predict that a 9000sqft home would sell for about $500/sqft whereas a 1000sqft home would sell for closer to $600/sqft. Mind this is a loose relationship but it is a trend that reappears in many markets. The takeaway? Larger waterfront homes are having a harder time selling than smaller ones - price reductions may be warranted earlier in developing a sales strategy. Check back next time for our final part in the series: some long term analyses.